Just a month ago, Mallika Sherawat made news when she was asked by her landlord in Paris, French, to vacate her home after she failed to pay the rent. But it seems those troubles are behind the Bollywood actress, who has been partying it up in Los Angeles, USA. 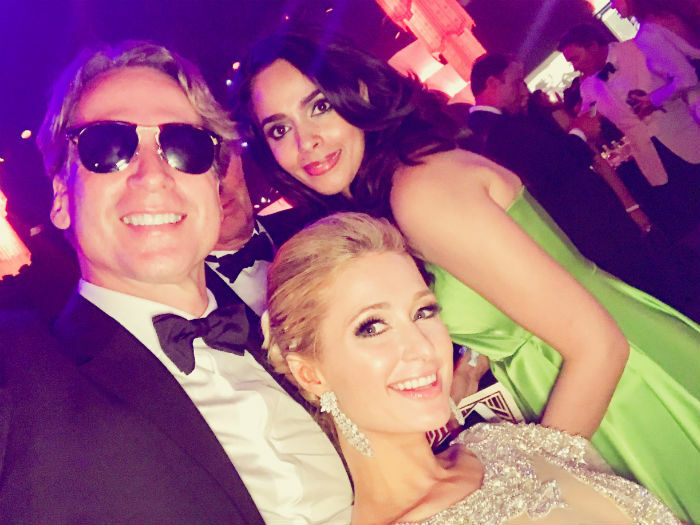 In fact, Mallika Sherawat was recently spotted hanging out with American businesswoman and television personality Paris Hilton at a party. A source close to the actress says, “Mallika and Paris met at a common friend’s party and clicked immediately. They were seen letting their hair down and conversing at length.” Paris, who recently got engaged to actor and model Chris Zylka, apparently also showed her much-talked-about ring to Mallika. Last month, Mallika had also reached out to External Affairs Minister Sushma Swaraj, urging her to help facilitate the Indian visa for Evelien Holsken, co-founder of the Dutch NGO Free-A-Girl. She closely works with the NGO, which fights against human trafficking and sexual exploitation of children in India. Mallika who first garnered attention for her bold roles in films like Khwahish and Murder, went on to show her range as an actor in romantic comedy Pyaar Ke Side Effects. Her other successful offerings have been Aap Ka Suroor – The Real Love Story, Welcome and Double Dhamaal. She is quite active on social media too and regularly posts images and videos of her travels and her fitness routines.